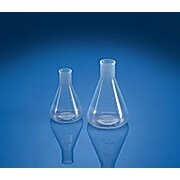 Heavy-duty rim for longer service Narrow mouth Graduated scale indicates approximate volume The Erlenmeyer design is extremely popular and has been modified for numerous lab applications. 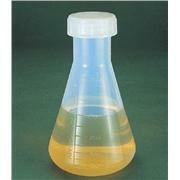 …cemented-in, inert white rubber liners which are resistant to steam sterilization. 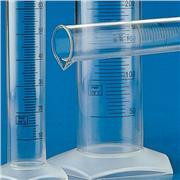 Their uniform wall thickness provides the proper balance between mechanical strength and thermal shock resistance. 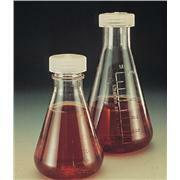 For convenience, these flasks are graduated to show approximate capacity and include marking spot. 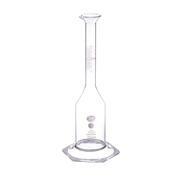 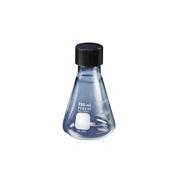 Beaker/Flask combination features wide fluted rim with pour spout and is ideal for mixing and use with funnels or filters. 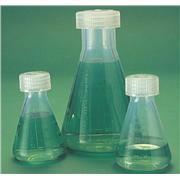 The design incorporates a narrow recessed neck to reduce splashing during agitation. 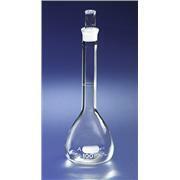 Made from borosilicate glass for chemical and heat resistance. 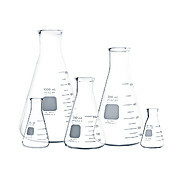 Erlenmeyer Flasks meet ASTM E-1404 Type 1, Class II Specifications for Classification, Design, Capacity & Dimensions, and Markings. 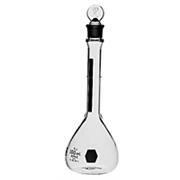 Feature heavy-duty rims to reduce chipping; white, permanent graduations and a large marking square. 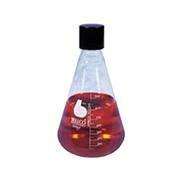 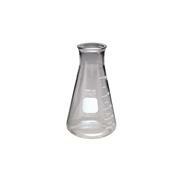 Ideal for general laboratory use. 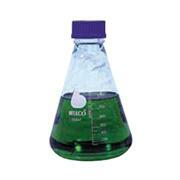 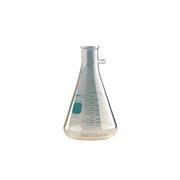 This 500ml borosilicate glass flask features an attached handle and a smooth rim. 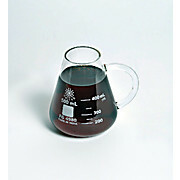 The molecular structure of caffeine is enamled in white on one side, and the other side has standard flask graduations. 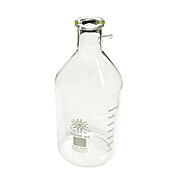 …this 10L bottle/flask is perfect for filtering large volumes of liquid. 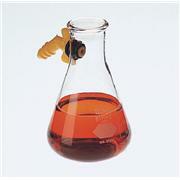 The thick walls and design enables this flask to withstand vacuum filtration without imploding. 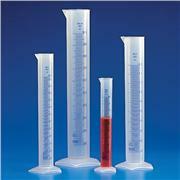 Graduated in 1000mL increments on a scale from 2000mL to 8000mL with an accuracy of +/- 5%. 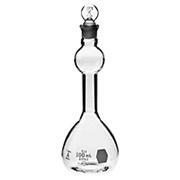 Neck size fits a #13 rubber stopper. 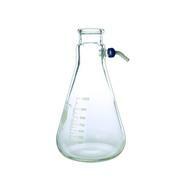 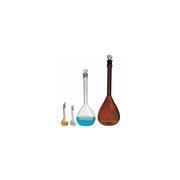 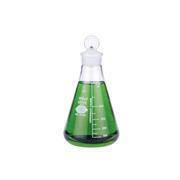 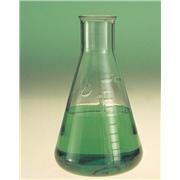 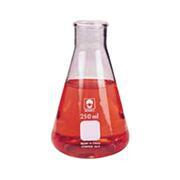 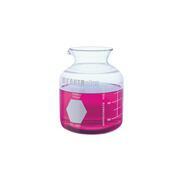 These borosilicate glass graduated neck flasks come in sizes to supplement our official metric series, LG-4317. 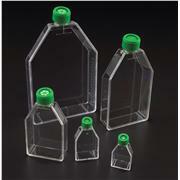 Additional sizes can be supplied on request. 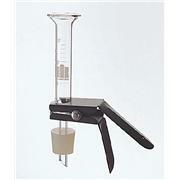 Calibrated "to contain" at 68°F/20°C.